The global car industry is facing a perfect storm in 2019. One of the industry’s most pivotal figures and head of the Renault-Nissan-Mitsubishi alliance, Carlos Ghosn, remains in jail in Japan. Car sales in Europe and China are falling and the emissions scandal has harmed customer trust in carmakers. Governments in developed countries are restrict the use of diesel vehicles in big cities, while carmakers’ shift to electric and hybrid vehicles demands costly investment in new production. Add to all this the overarching threats of Brexit and a the US-China trade war and there seems little light on the horizon. How Does This Impact Auto Stocks? Unlike mainland Europe, the UK has no listed carmakers, but the automotive industry is key to economic sentiment in Britain and its trade prospects. With Brexit looming, last week’s news that Jaguar Land Rover is planning over 5,000 job cuts sent a chill through British manufacturing. In the same week, Ford (F) announced plans to cut thousands of jobs in Europe – while the company said the decision was not Brexit-related, the prospect of leaving the EU without a deal could lead to plant closures. At this week's Detroit Auto Show, Ford CFO Bob Shanks said the firm still expects no deal to be least likely outcome, despite the defeat of the UK Government's deal. "In his presentation, Shanks said no deal would be catastrophic for Ford UK and the UK auto industry," says Morningstar anlayst Dave Whiston. One company that has blamed Brexit for a change in strategy is Honda (7267), which plans to shut down its Swindon factory for six days in April to “facilitate production recovery activity” amid disruption of the supply chain from border delays. “The UK’s automotive industry is highly integrated with the European Union, including both vehicle production and parts manufacturing. Auto industry trade ties are especially strong between the UK and Germany, the top destination for UK vehicle and parts exports. For many years, Britons have bought new cars with cheap finance deals, including German marques Audi, VW, BMW and Mercedes. Recent statistics show a steep fall in new car registrations in December – down 5.5% – as consumers brace themselves for the economic impact of Brexit. A similar effect is evident in retailers’ festive trading updates. The same pattern is evident in mainland Europe, where latest figures show an 8% drop in new car registrations in December, according to the European Automobile Manufacturers Association. Tougher emissions standards that kicked in last September have piled pressure on EU carmakers to have new vehicles ready to meet the new rules. In terms of European stocks, the STOXX Europe 600 Automobiles & Parts index is down nearly 30% in a year as the sector grapples with global headwinds. Much has been made of Britain being subject to “WTO rules” in the event of crashing out of the EU. The Society of Motor Manufacturers and Traders estimates that a 10% World Trade Organization rule tariff would add more than £5 billion to the UK trade bill. SMMT also estimates that the average price of a UK-built vehicle would increase £2,700, while the price of a vehicle built in the EU would increase £1,500 on average. Morningstar analysts argue that the car industry is of such strategic importance to the UK and EU economies that a deal will be reached between the two sides – a “sweetheart deal” not on offer to other industries affected by Brexit. The original Chequers deal included Britain remaining part of a customs union for goods. In 2016, amid the fervour of the Brexit vote and its aftermath, Japan’s Nissan was offered a special deal – whose full terms remain secret – by the Conservative Party to stay in the UK and expand its Nissan plant in Sunderland. The Government was pressured to extend similar terms to other overseas car companies with manufacturing bases in the UK. Former Deputy Prime Minister Nick Clegg warned at the time that favourable deals for particular sectors will cost the Treasury billions in the future. 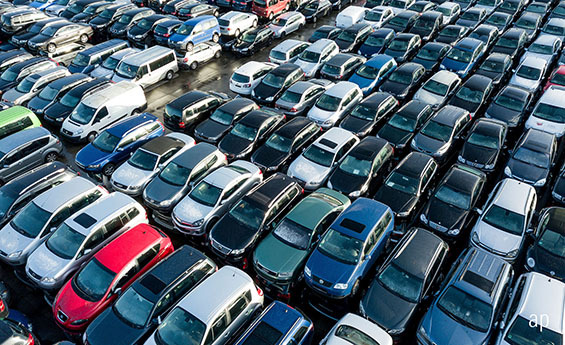 Of European car stocks, Morningstar analysts favour Germany’s BMW (BMW), arguing that the stock at current levels is over 30% below its fair value, taking into account a no-deal Brexit – the worst-case scenario for the industry. “BMW continues to outperform the overall car market despite global economic uncertainties,” says analyst Richard Hilgert, adding that the company is one of only a handful of European car firms to have an economic moat, or competitive advantage. While car manufacturers are not listed in the UK, there are plenty of stocks with exposure to the sector. FTSE 100 chemicals firm Johnson Matthey (JMAT) is at the forefront of the global move towards electric vehicles with its battery technology. In recent Budgets, the Chancellor has reiterated the Government’s support for electric vehicles – the UK Government itself has set a deadline of 2040, after which no petrol and diesel cars will be manufactured. But hybrid vehicles will still be on the roads from this date. France will also ban pure petrol and diesel cars from sale in 2040. Scotland’s deadline is eight years earlier with the ban starting in 2032. The company’s fair value estimate is £32 per share, against a current share price just below £32 and Hales notes that sales of diesel catalysts in Europe were up nearly 20% and above industry levels.